I really liked all the keywords in the sentence, but at the time my two thoughts were: who is ADP, and what on earth is a PEO? My experience with insurance risk and data science led ADP to offer me the position, and I gladly accepted the challenge of using my skills in an industry that was then foreign to me. I quickly learned that the PEO was just one of ADP’s product offerings, and that PEOs (helpfully short for Professional Employer Organizations) are the [insert your favorite luxury car brand] of outsourced service offerings for small and medium-sized businesses. Traditionally, they provide payroll, HR, compliance, 401k, and insurance services. The insurance offerings cover risk and safety consulting, workers’ compensation insurance, health benefits, and employers’ practice liability insurance. Though hopefully an insignificant risk, PEOs also must manage client creditworthiness. What makes the entire PEO engine run is the legal concept of joint or co-employment. Suppose there are 10 companies, each of which with 100 worksite employees (WSE). These 10 companies – and 1,000 WSEs – are looking to ADP for insurance. If ADP’s role was of a traditional broker, then there would be 10 individual transactions with potentially 10 different insurance carriers. But if ADP utilizes co-employment, ADP becomes the employer of record for those 1,000 WSEs, effectively pooling them into one company as ADP goes to market. At this scale, ADP can benefit from lower transactions costs and obtain more favorable coverages and rates than any one of those individual companies could ever hope to negotiate. And best of all for the clients, they still retain all day-to-day responsibilities of their employees and direction of the company. Working with a client base of this size is a dream situation for an actuary and data scientist. There are so many disparate coverages and risks, and yet they are all intertwined into one product to the benefit or detriment of the PEO. And the data – THE DATA – affords you the opportunity to do most anything the organization and its clients need. Operationally, the PEO can use its data, if credible enough, to develop sales strategies, pricing models, and claims handling analytics, just to name a few. For its clients, the PEO can create models to help identify talent quickly, prevent turnover, support pay equality initiatives, and more. The diversity and scope of work is enough to keep actuaries and data scientists alike excited to go to work for a very long time. That excitement of applying actuarial and data science in the PEO space to bring about significant business results is what brings me here. Through this blog series, I hope to share about issues and concerns that are relevant given the current landscape. I hope to talk about how a CEO could run their organization if they were given a clean slate. And knowing that most companies cannot afford to press “reset” on their operations, how new initiatives can provide a significant impact. I hope to spur discussions within company leadership on what is “optimal” and how to get there. The upcoming slate of topics will begin by focusing on a PEO’s underwriting, claims, and actuarial operations, and then we’ll work our way out into the broader picture of a PEO, touching upon how to optimize an insurance program structure, and how to make sure all the moving parts are working well in concert. If you have other specific topics you would like to hear about, please feel free to reach out to me. I look forward to writing about these topics and hope you find it beneficial. And this is assuming only one type of “insurance” is needed, whereas companies need workers compensation, health benefits, 401k, etc., each of those requiring a separate broker transaction in a traditional broker model. 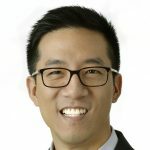 Frank Huang has more than 15 years of actuarial consulting experience serving a wide range of clients, including serving as ADP’s Chief Actuary.